Whilst we are taking more pictures than at any other time, the fleeting nature of digital images means we are printing or keeping fewer of these important documents. National Photography Month aims to encourage the nation to get more involved in photography, and to explore new ways to capture and keep life’s most important moments. 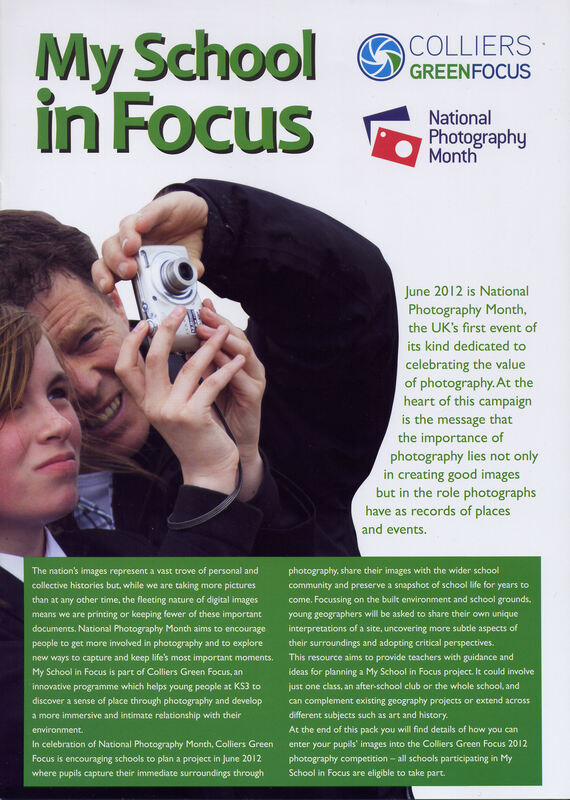 Colliers Green Focus has produced a resource booklet to encourage schools to get involved in National Photography Month in June 2012, using photography to engage with key concepts in geography including Sense of Place. It presents ideas for a summer term project where students document the school environment using photography, preserving a moment in time for future generations. As well as providing material for an exhibition within the school, the images can be used creatively in the long-term: to showcase the school an open days and parents’ evenings, and in printed materials such as year books and praise postcards. My School in Focus suggests ways of getting students to see beyond the obvious and familiar, and re-appraise their school environment. Weblinks have now been removed. In 2010 this started a three-year period of funding by Colliers International managed by Kallaway and NaturesBase. Angus Willson acted as an education adviser to The Ph otographers’ Gallery in setting up this project for the first three-year phase. The project consists of secondary school geography fieldwork sessions supported by Richard Chivers, a professional geographer, and Gyles Morris, a geographer and advocate of fieldwork. Equipped with a camera each the learners are guided to capture a sense of place and it is wonderful to see them fully engaged in this task. They have to identify just five images to go forward into a selection procedure. This generates much thoughtful geographical discussion. With ten schools participating each year, the photographs are short-listed down and the winners are presented at an Awards ceremony and posted in an online gallery. 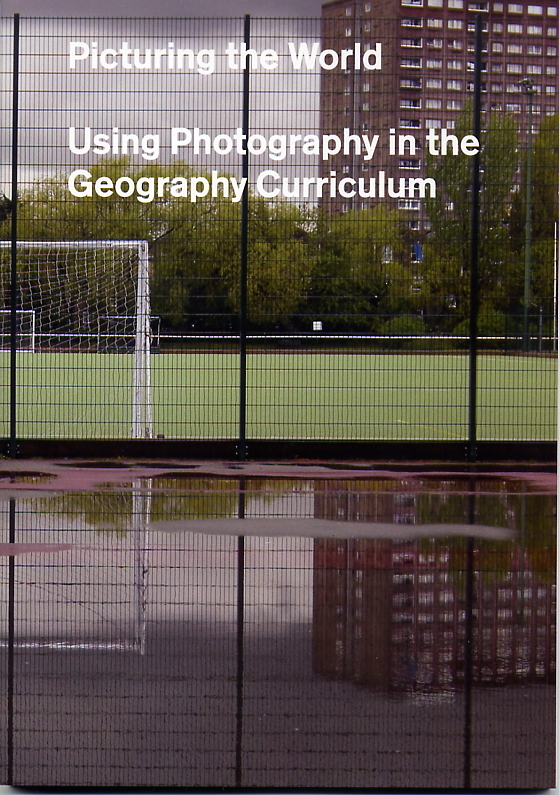 The Photographers’ Gallery has published Picturing the World: using photography in the geography curriculum a resource book which includes chapters supporting the project. It also includes photographs from each winner and the runners-up over the three years. The resource book is available to participants in the project without charge. In addition to the fieldwork sessions, the project is running teacher CPD sessions at various locations around the country. These have been held in London, Birmingham, near Bristol and Leeds. Gyles and Angus ran a workshop at the Geographical Association Annual Conference in Derby 2010 and Richard and Angus conducted a similar session for teachers in Staffordshire. There are now two versions of Colliers Green Focus: ‘Mobile‘ for those teachers who have attended a CPD session and ‘Compact‘ for the workshop as part of a pupils’ fieldwork session.